After desiring to unite with emperumAn who is with unlimited auspicious qualities such as ASritha vAthsalyam (showing motherly care towards his devotees) etc, but not achieving it, a pirAtti (parAnguSa nAyaki, AzhwAr in feminine mood) who has been in anguish for a long time, unable to bear the anguish, thinks in her mind “we should unite with him even if we have to perform madal (an act of naming and shaming the beloved in public, for refusing to accept one’s love)” and sets out to engage in madalURudhal (performing madal). Her friend tells her “does he (emperumAn) have those auspicious qualities such as beauty etc to deserve your love? Even if he has those qualities, is it correct to engage in madal towards him? Wouldn’t the whole town condemn you [for such an act]?” [and parAnguSa nAyaki replies in this decad]. Meditating upon these aspects, AzhwAr , due to the great love towards such sarvESvara, out of haste in thinking “even if I have to engage in self-centered act which does not fit the nature of both (emperumAn and AzhwAr), I have to do that and achieve him”, reveals her unique state through the words of some one else. That is, AzhwAr mercifully explains through the words of a girl who united with ISvara who is the nAyaka (a king), and then separated; the girl out of great anguish in not attaining emperumAn, not fitting her family heritage and her femininity says to her friend “I will destroy his character, engage in madalUrdhal and attain him”. AzhwAr having meditated upon emperumAn‘s physical beauty, qualities and [specifically] saulabhyam (simplicity) as in “maliyum sudar oLi mUrththi mAyap pirAn kaNNan thannai“, thought of embracing him physically having acquired such desire towards emperumAn who is having amazing qualities and activities, and having physical beauty that captivates everyone even if amazing qualities and activities are not present in him; with such desire he stretched his hands and emperumAn was out of reach for him; being bewildered by that AzhwAr sets out to engage in madal. Engaging in madal is like roasting paddy in fire of hay [very difficult to do]. AzhwAr who instructed others saying “do not engage in unrighteous activities” to reform them, has now become non-reformable even if some one instructs him “what you are trying to do is not righteousness, please avoid doing it”. If one tries to correct AzhwAr saying “love towards bhagavAn cannot be pursued”, it will not work as he instructed others and reformed them to have love towards bhagavAn. Another explanation [of the relationship between previous decad and this] – In thiruvAimozhi 4.8 “ERALum iRaiyOn“, AzhwAr called out for emperumAn due to not attaining him, saying “I who am not useful for him and my belongings are not required”; in the subsequent decad, he looked around for companions to call out for emperumAn along with him, but found out that just as he is desirous of bhagavAn, the worldly people are desirous of other worldly pleasures; he felt bad for them and reformed them by explaining bhagavAn’s supremacy. Then he thought “How great of sarvESvaran to choose me who was one among them and reformed me so that I can reform them all!” and meditated upon the favours done by emperumAn to him, performed mangaLASAsanam to those SrIvaishNavas who were reformed by him. Thus, after doing everything for the well-being of others, again he got reminded about his own loss [of not being united with emperumAn] and in this decad, he ends up engaging in madal thinking that he will attain emperumAn even by pursuing forbidden ways. When some persons develop attachment towards something and are unable to attain that, and if they come to a state where they feel great urge thinking “I need it right now”, they will then enter into the place where it exists, even engage in adventurous acts like setting fire to capture the attention and will get what they want; similarly AzhwAr desiring to attain emperumAn through the adventurous method of madal thinking “even if I end up causing disrepute to him, I will make him come to me” and speaks his state through the words of another person [i.e., in a different, feminine mood]. thamizh scholars explain “one who is suffering in separation from his/her beloved person, he/she can engage in madal”. That is, when there are two persons (a man and a woman) who are comparable in their qualities, age, great family heritage, beauty and wealth as said in SrI rAmAyaNam sundhara kANdam 16.5 “thulya Seela vayO vruththAm” (perfect match in qualities, age and activities), the man having ideal qualities such as knowledge, completeness, analytical skills and ability to retain what was learned and the woman having ideal qualities such as shyness, humility, fear and modesty, and they are in the ripened youth stage; while there was no one to unite them, by divine arrangement, the man left for hunting and the woman goes to the garden to play with the flowers, by the divine arrangement, their eyes meet there and due to not having any one to help unite them, they become separated. Since both are highly qualified in their qualities, both of them feeling the separation, started thinking that they cannot exist without each other and desired to unite with each other even at the cost of losing reputation for both. madalURudhal is – when some one is separated from his beloved, drawing her picture in an artistic manner, seeing that picture without taking the eyes off, considering a palm leaf to be a horse, with all pleasure giving objects feeling like fire from the time of separation, being without food or sleep, not bathing, having the hair spread out without being tied, and roaming around. Seeing this unrighteous state, the king and his soldiers may say “this man has so much love so much towards this woman” and unite them; alternatively, considering his act as the reason, the relatives of both the man and woman may give them up and they unite having each other as support during such difficult times; or they may unite with the help of the friends of the woman, or they may unite due to great anguish in separation, or when the woman is a highly respected one, she may unite with the man fearing disrepute and if none of these works, he will die and be relieved of the suffering. madal is such an adventurous task. As said in tholkAppiyam, one of the ancient thamizh literatures, “kadalanna kAmaththar Agilum mAdhar madalUrAr maRRaiyAr mEl enRu” (similar statement is present in thirukkuRaL also), even if their suffering in separation is too great, women are not supposed to engage in madal; the man can engage in madal out of great separation by wondering “would anyone engage in madal if he is in separation from his beloved?”, or by informing to his beloved woman’s friends “I am going to draw her picture, I am going to engage in madal” and even if they don’t help, he will engage in madal; other than these, thamizh scholars explained that women cannot engage in madal; but here, pirAtti (AzhwAr in feminine mood) is the one engaging in madal; and how can this be reconciled when thamizh scholars say “women cannot engage in madal”? They accepted that [madal] in one side [for the man]. The reason for their acceptance in the case of the man is his great anguish. If both persons have same anguish, how can one person (the woman) be stopped from engaging in madal? [Until here, the argument of thamizh scholars, i.e., women don’t engage in madal, is rejected and counter argument is given. Now, their argument is accepted and counter argument is given] emperumAn who needs to be seen to sustain oneself even if it means to cross the limits , cannot be kept away and one cannot focus on anything else; other women who have already engaged in madal [towards worldly men], assumed such great qualities in their beloved men. Trying to curb the desire to engage in madal, is like trying to curb one’s desire; if that is the case, king’s orders should be able to stop it; or a physical fence should be able to stop it [none of this can curb one’s desire], and thus, it can be concluded that they [the scholars] do not understand the [divine] love of these persons [AzhwArs et al]. AzhwAr himself in thiruvAimozhi 1.5 “vaLavEzhulagu“, said “my mingling with him will lead to disrepute to him, and instead of causing disrepute for him just for my own benefit, I would rather move away from him and die, and thus will preserve his glories”, and such words will not match this act; this act will also not match his words in thiruvAimozhi 4.8 “ERALum iRaiyOn” where he said “let any of my own self or my belongings which do not exist for emperumAn‘s pleasure, be destroyed”; thus, this [engaging in madal] is not a) an act of vItha rAga (one who is free from attachment), b) it does not match his svarUpam [of SEShathvam (servitorship) and pArathanthriyam (total dependence) which are explained in thiruvAimozhi 1.5 and 4.8 respectively], c) this is not done by gyAnAdhika (one who is very wise), so what is this state of AzhwAr? the answer for all of this is the same as what was explained by parASara bhattar while mercifully explaining [siRiya/periya] thirumadal. [The three points are clarified in reverse order here] [Is this done by gyAnAdhika?] There is no one wiser than those who are born in janaka’s clan. sIthAp pirAtti who was born in that clan, as said in SrI rAmAyaNam ayOdhyA kANdam 38.8 “yAnaSakyApurAdhrashtum …” (That sIthA who could not have been seen even by those sky-dwellers, is now seen by every one in the rAjavIdhi (the main street of the kingdom)), when perumAL (SrI rAma) set out to go to the forest, since she followed him as said in periya thirumadal “mannan irAman pin vaidhEvi enRuraikkum anna nadaiya aNangu nadandhilaLE” (following king SrI rAma, the divine vaidhEhi, who walks like a swan, walked to the forest) – SishtAchAram (practice of elders) is also present. Now, since AzhwAr was divinely blessed with unblemished knowledge and devotion, his action in itself is a pramANam (bonafide proof for us to follow) . As said in SrI bhagavath gIthA 3.21 “yadh yadh Acharathi SrEshtas” (whatever actions performed by the best men) and “sa yath pramANam kuruthE” (in whichever manner he performs those actions), the practice of noble persons can be considered as pramANam. But, isn’t kAmam (love) prohibited? Only love in inapt (worldly) matters, is condemned, since it is temporary; love in bhagavAn‘s matters is actually ordained as in bruhadhAraNyaka upanishath “nidhidhyAsithavya:” (to be constantly meditated upon). The bhakthi which is ordained in vEdhAntham is called as kAmam here. [Does it match his svarUpam?] For the same AzhwAr who moved away from emperumAn considering that his mingling with emperumAn will bring disrepute to emperumAn, is it fitting for him to cause disrepute to emperumAn to make emperumAn appear in front of him? Yes. There he decided to move away from emperumAn to avoid causing disrepute to emperumAn; here too, he is doing the same – emperumAn will acquire disrepute of letting AzhwAr who was very attached to emperumAn, to die without having his desire fulfilled – AzhwAr is avoiding such disrepute for emperumAn. There AzhwAr moving away from emperumAn is gyAna kAryam (result of his knowledge); here AzhwAr pursuing emperumAn strongly is bhakthi kAryam (result of his devotion). If emperumAn does not cause such agitation [in the minds of his devotees], it means that there is some shortcoming in emperumAn. emperumAn mercifully bestowed as said in thiruvAimozhi 1.1.1 “madhi nalam” (knowledge and devotion) to AzhwAr; this [state of AzhwAr] is the effect of that; previous incident [of moving away] is the result of madhi and now it is the result of nalam. [Further explanation to see if this act matches AzhwAr’s svarUpam] Now, after pursuing sidhdhOpAyam (bhagavAn as means), if the result is not accomplished, one will understand emperumAn’s nature [of being a saviour] to be different. If his svarUpam itself is misunderstood, what to speak of one’s own svarUpam. One will think “If there is nothing to do for self and emperumAn has no incapability, what is causing the delay in between?”. AzhwAr did not take shelter of a person where AzhwAr needs to assume incapability and then shoot an arrow [explained further]. Since emperumAn is abundant with auspicious qualities, AzhwAr does not have to do anything other than saying “I will engage in madal”. When perumAL (SrI rAma) surrendered to the ocean (samudhra rAja, the king of oceans), he did not appear at first; only after shooting a few arrows, and having been hurt, he appeared; here, since none of that is required, just like SrI rAma said in SrI rAmAyaNam yudhdha kANdam 21.22 “chApamAnaya” (Oh lakshmaNa! bring my arrows), here AzhwAr is also saying “I will engage in madal”, frighten emperumAn and make emperumAn appear in front of him. Though AzhwAr has become bewildered about his own nature, he is still fully clear about emperumAn’s qualities. When AzhwAr tried to finish himself in “ERALum iRaiyOn” citing that “self and belongings are unworthy of existence when not in use for emperumAn”, he did not die since it was not in his hands and since emperumAn existed; here, AzhwAr is trying to finish emperumAn [i.e., emperumAn’s qualities, fame etc] along with the root; he exists when emperumAn exists and he ceases to exist along with emperumAn – this is the true nature of AthmA and paramAthmA. There he said in thiruvAimozhi 4.8.10 “uyirinAl kuRaivilam” (there is no use of AthmA, if not used for sarvESvaran), here AzhwAr is saying “uyirkku uyirinAl kuRaivilam” (for the AthmA, there is no use of sarvESvaran [since he is not helping AthmA]). In “ERALum iRaiyOnum”, AzhwAr said “he does not need self and belongings of self which are not used for emperumAn”. Here, he says “I don’t need emperumAn and his belongings which are of no use to me”. Some devotees asked parASara bhattar “When rAvaNa brought the mAyASiras (illusory head) of SrI rAma, why did sIthA cry like worldly women instead of giving up her life on hearing about it at once?”, bhattar mercifully explained “For survival, it is not her knowledge or ignorance about the existence [of SrI rAma], it is the existence itself which is the cause; since there is no question of ceasing to exist, she too survived”. In this manner, AzhwAr acquired the state of making emperumAn appear in front of him. Assuming the mood of a pirAtti (divine consort, named parAnguSa nAyaki) of emperumAn who united with him and separated subsequently, though was in great anguish, was handling herself well; seeing that, her friend thinks “she is more stable compared to what she was going through previously; if she is thinking clearly like this even in his absence, she must be setting out to do something adventurous” and tells parAnguSa nAyaki “the act [madal] you are planning to engage does not fit your and his distinguished nature, your greatness, your heritage and your limits”; parAnguSa nAyaki replies “even if I destroy my own nature, I will not stop engaging in madal” and expresses her bold decision to her friend; hearing this, sarvESvaran became frightened, unable to stay where he was,he came and presented himself, saved his own self and made her survive also. When she engages in madal, there is no way for emperumAn, other than visiting her at once and saving his own self; he cannot survive the brahmAsthram (the greatest weapon). Though, AzhwAr was thinking previously “our goal is achieved by emperumAn‘s grace”, there are certain stages of bhakthi such as para bhakthi [pure knowledge about emperumAn], para gyAnam [ability to visualize emperumAn inside the mind] and parama bhakthi [unable to bear separation, the final stage before reaching emperumAn] – these cannot be avoided. Both, for bhakthimAn [one who is situated in bhakthi yOgam] and prapanna [one who is pursuing emperumAn as the means], there is bhakthi – one cannot do prapaththi (surrender), without the taste for it [that taste is bhakthi]. The bhakthi of bhakthimAn is as per rules and regulations; the bhakthi of prapanna is the result of taste. For bhakthimAn, bhakthi is sAdhanam (means to attain bhagavAn), and for prapanna, bhakthi is just the way to spend the rest of his life. 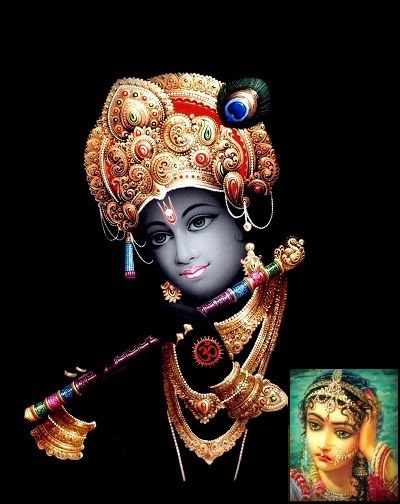 When bhakthimAn loses faith in the goal, he will give up bhakthi, but for prapanna, since it goes along with his true nature, it can never be given up. This entry was posted in thiruvAimozhi, thiruvAimozhi 5th centum on June 12, 2017 by Sarathy Thothathri.